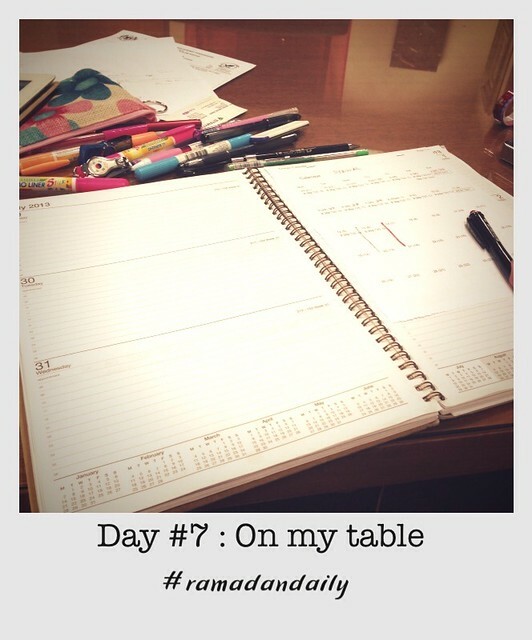 During Ramadan most of us spend a lot of time near a table either at work, at home or when you went out side to buy food. Take a conscious effort to take a photo of you table right now. This is me, at work working on my calendar for the week and the rest of the month. I love digital calendar and I also love notebook style calendar. I love to keep a hard copy proof of my calendar. Something I can touch, smell and color.